One to One with the finest profile in British acting. At the Theatre Royal, Stratford East. That’s the original model for the stage set of A Taste of Honey. For the third of my One to Ones for Radio 4 I wanted a Missing Angle on the golden age of British theatre and cinema — from the late 50s to the early 70s. You can listen to it here. 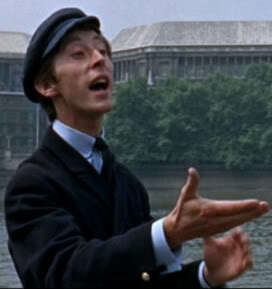 I’d met Murray Melvin together with Rita Tushingham to talk about the 50th anniversary of their break through performances in A Taste of Honey and was struck by the openness of his sympathetic portrayal, of what was widely regarded as a gay man in the 1961 film version. He won the Cannes Best Actor prize the following year. This was at a time when Rank matinee idols like Dirk Bogarde were very much in the closet, and homosexuality was still very much a criminal offence. As a lifelong fan of 60s British film I was fascinated by Melvin’s journey through the cinema of the time. 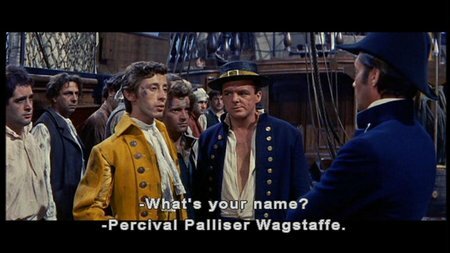 There he was climbing the rigging with Dirk Bogarde in the old fashioned epic HMS Defiant the year after Honey. It’s like watching some kind of post modernist mash up; the delicate black and white kitchen sink realist actor wandering onto the set of an unintentionally camp technicolor Napoleonic historical drama, trapped in the social and sexual mores of the pre-war age. An even more obviously subversive performance followed: Watch him as the sensitive best friend of misogynist Michael Caine in Alfie. In our interview Melvin recalled how Bogarde told him he’d done more for “the cause” — more to promote gay rights — in one scene in A Taste of Honey, than the whole of Victim, Bogarde’s strangely evasive tale of homosexual blackmail. Though regarded as a hugely brave and important drama at the time, Victim doesn’t quite dare allow its leading man to be actually gay. The conversation took place at a BAFTA dinner. Both actors were nominated for their roles. Melvin seems to have thrived on working with mavericks and outsiders, such as Stanley Kubrick and the late Ken Russell. He loved the discipline of Kubrick’s demands as he composed his images. And his elegant profile graced many of “Captain Russell’s” productions. If we look a little sombre in that photo at the top of this post, it’s because we’d just been talking about how he’s still haunted by the horror of smashing Oliver Reed’s legs in the torture scene in The Devils (just released in a remastered and restored DVD). Melvin said he threw up between takes. 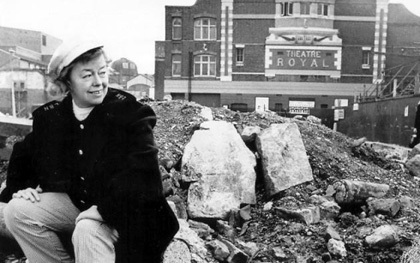 Miss Littlewood and the Theatre Royal defy 60s urban planners.This photo hangs in the theatre bar today. His affection for Joan Littlewood, who took him on at her groundbreaking Theatre Royal in Stratford in East London is undiminished. He refers to her in the interview as “Miss Littlewood”. She took him on as a general “dogsbody”, making tea and sweeping the stage. It’s a way in to drama that he regrets has all but disappeared. And who, he wonders, can afford to take a risk on un funded drama degrees now except the wealthy? We did the interview at the theatre, where Melvin is now curating the incredible archive. All her books on theatre are beautifully shelved and the one hundred year plus history of the venue is being carefully researched and preserved. Melvin has overseen the restoration of the grand Victorian bar and promotes drama courses there for local children, in what remains one of the most deprived parts of the capital. He remains loyal to her vision for championing inclusion and working class art. He talks with passion about the impact of government policy on the arts and the prospects for the young. A new generation of fans have discovered his breakthrough role since he played a memorable villain in Torchwood. One young man even came up to him at a Dr Who convention to thank him for the portrayal. And with that trained balletic poise he is still, to my eye, the most beautiful profile in British acting. 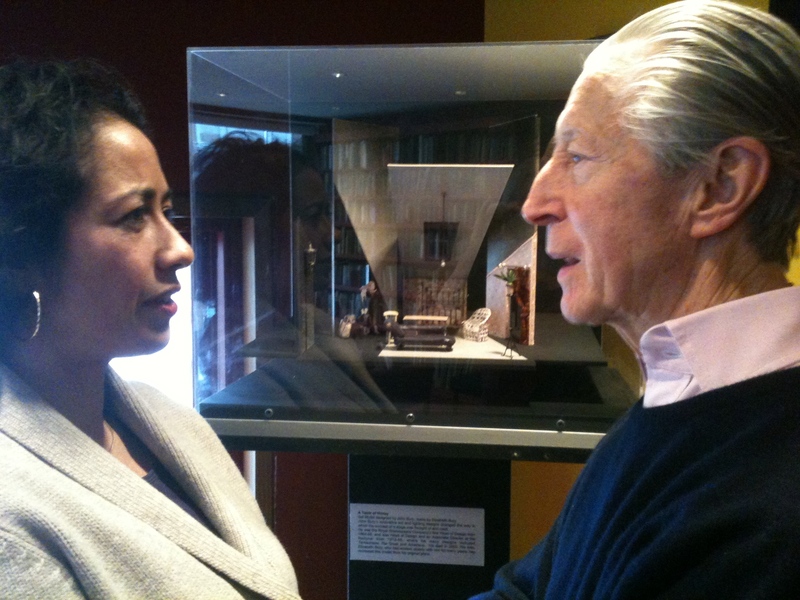 You can listen to my Radio 4 One to One interview with Murray Melvin here. 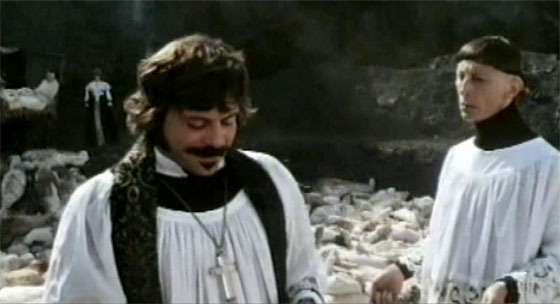 This entry was posted in Culture, Film, Radio, Theatre, Uncategorized and tagged 60s, Alfie, cinema, culture, Dirk Bogarde, film, HMS Defiant, Joan Littlewood, Ken Russell, kitchen sink drama, michael caine, Murray Melvin, Stanley Kubrick, The Devils, Theatre Royal Stratford, Victim. Bookmark the permalink.